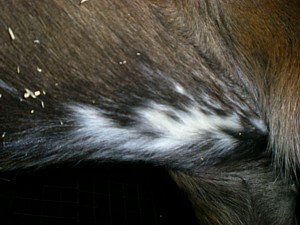 White markings can occur anywhere on the body depending on what types of genes are involved. 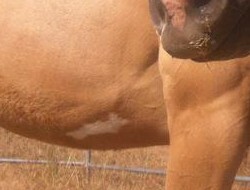 Sabino for instance can put splashes and lacy white markings up the forearms, gaskin and stifle as well as on the torso. 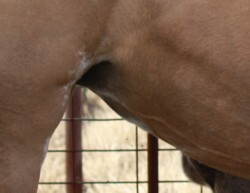 Where these occur the skin underneath must be dark for the horse or pony to be eligible for Dilutes Australia Ltd registration. 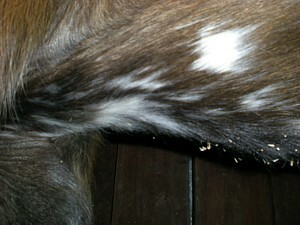 Other types of white markings that make a horse or pony ineligible for solid dilute registration with Dilutes Australia Ltd. Whilst these examples all had pink skin under the white hair so were not eligible for solid dilute registration, it is important to note that if the skin was dark they would have been eligible.